Funeral services for Nelson Johnson Nichols, Jr., 76, of Williston, SC will be held 2 p.m. Tuesday, February 5, 2019 at Faith Chapel Pentecostal Holiness Church, Blackville, SC with the Reverend Rick Powell officiating. The family will receive friends from 1 p.m. until the time of service on Tuesday at the church. Burial will be in the Williston Cemetery. In lieu of flowers the family has asked that memorials may be made to the Diabetes Association, P.O. Box 15829, Arlington, VA 22215 or the American Cancer Society 200 Center Point Circle Suite 100, Columbia, S.C. 29210. Nelson died on Saturday, February 2, 2019. Born in Bedford, Virginia, he was a son of the late Nelson J. Nichols, Sr. and Thelma Marie Maxey Nichols and was married to Mary Vaughan Nichols. 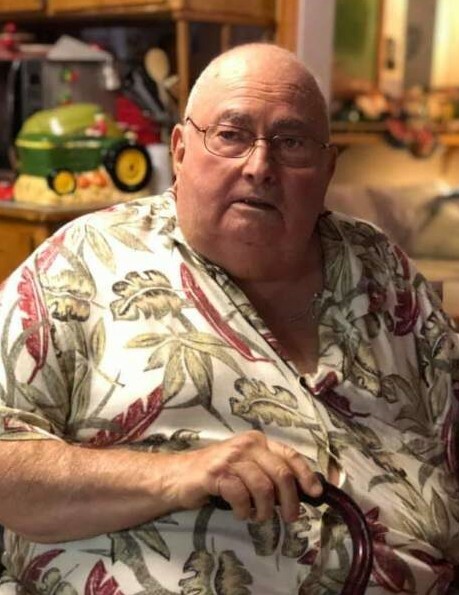 Nelson was a 100 percent disable veteran having served 7 years in the Army National Guard, was a member of Faith Chapel Pentecostal Holiness Church and retired from Owens-Corning Fiberglass as a Maintenance Mechanic for 30 years never missing a day of work. Survivors include his loving wife of 56 years Mary Vaughan Nichols of the home; a daughter, Dorinda (Doug) Disher of Windsor; son, Daryl J. Nichols of Lexington, SC; two grandchildren, Jeffery N. Nichols and Virginia M. (Tom) Collins; great grandchildren, Jude L. and Greyson D. Collins; a sister, Patricia M. Nichols of Virginia; brother, Reverend Dennis W. (Ellen) Nichols; sisters–in-law, Peggy Saunders and Lilly Nichols; brothers-in-law, Robert Vaughan, Ollie Vaughan and Jessie Vaughan all of Virginia; numerous nieces and nephews and his loving dog “Blackie”.